The Clifton Victoria Inn at the Falls is in the centre of Niagara’s premier tourist district. Part of the 20-acre Falls Avenue Resort, the hotel is also across the street from Casino Niagara, and a 5 minute walk to the Falls and Clifton Hill. Located across from Falls Avenue Resort, the Clifton Victoria Inn is a short walk to great attractions and shopping. Falls Avenue Resort is home to attractions for all ages including the Hershey Chocolate World Niagara Falls, and the exciting Adventure City. 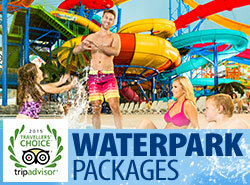 Directly across from the Clifton Victoria Inn is the 3 acre Fallsview Indoor Waterpark. 16 thrilling slides up to six stories high, a giant wave pool, two over-sized adult only hot tub, the “Beach House” Mammoth Aqua Play Area, Tiny Tots Splash Park, an outdoor sun deck and activity pool, The Beach Club food court and much more! Casino Niagara features games, dining and entertainment located directly across from the Clifton Victoria Inn at the Falls. 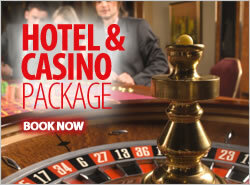 Casino Niagara is the place to be in Niagara! A 5 minute walk from the Falls, the Clifton Victoria Inn at the Falls is surrounded by the beautiful Niagara Parks. The Niagara Parks operate some of Niagara’s best know and most popular tourist attractions including the legendary Maid Of The Mist, Journey Behind The Falls, the White Water Walk and the Butterfly Conservatory. Clifton Hill is Niagara’s most popular stretch of tourist excitement. The close proximity of the Clifton Victoria Inn at the Falls to all of the fun on the Hill including the new Niagara Falls Skywheel, the Great Canadian Midway, Movieland, Ruby Tuesday’s, Boston Pizza, Rumours Night Club and so much more makes it a great place to stay in Niagara Falls. The spotlight falls on stages in Niagara Falls that will thrill guests of all ages. Acclaimed illusionist Greg Frewin offers a magical evening the entire family will enjoy. Dinner theatre hits a high note with Oh Canada, Eh! – Niagara’s longest running theatre experience. The Falls is home to world class courses that will challenge even the most experienced golfers. PGA tournament and course designs have helped put Niagara Falls on the map as a top golf destination. Award winning wineries can be found across the Niagara landscape, experience Niagara’s finest wineries on a tour and tasting and you will realize why Niagara is known around the world for outstanding quality. There is a lot to see and do in Niagara Falls and the Niagara Region, explore on your own, venture out on a WEGO Shuttle Bus or book one of the many guided tours available for Niagara Falls and the Niagara Region.